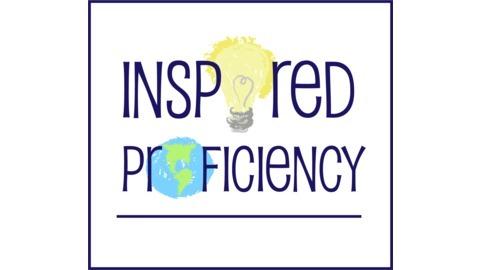 Welcome to Inspired Proficiency and thank you for joining us for episode 6 of season 3. 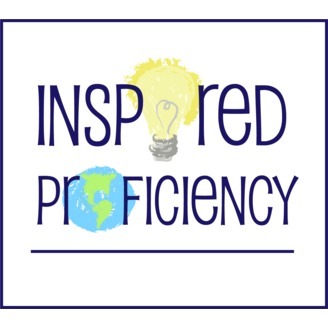 As always, please tweet any takeaways and inspirations to #inspiredproficiency. Download the episode here: http://traffic.libsyn.com/inspiredproficiency/IPe6.mp3or listen and subscribe on Apple Podcasts here or find it wherever you listen to podcasts! On this episode Ashley chats with author A.C. Quintero who is offering a giveaway to Inspired Proficiency listeners! Enter to win a trilogy from author A.C. Quintero by tweeting! Listen for details! Ashley starts the episode with information about a project in her classroom called Teacher for a Day based on ideas she got from Laura Sexton. Laura was a guest back in season 1 on episode 9. Listen to her episode here. Students plan, prepare, and lead an entire class period in Spanish. They pick themes, vocabulary words, and activities. Rule of thumb- stick with general words to cover more content and not super specific things. Students can use props and bring their class to life. They hook the other students, do movement, and do a reading and writing activity. The kids come up with awesome material that the teacher can use and play with other classes later on. The content can be anything so the students are really empowered to do a lot with the language and lead really powerful activities. Students might need more help the first year but they quickly realize how much more language they possess year after year and push themselves to be even more creative in the second or third year of the project. Alicia Quintero is a Spanish teacher from Chicago. She teaches levels 1 and 4 in an IB school. Some of her readers are available in French but they are all available in Spanish. Alicia has been writing since about 2015 and has been teaching for 14 years. Her writing came from a lot of storytelling in class and she was using this avenue to try to solve problems happening within the classroom. What does FVR (Free Voluntary Reading) look like your classroom? It depends on the class and the level of engagement with reading. We as teachers need goals for what we want to accomplish during a reading session. We know that reading bolsters second language acquisition but they can also learn more than that, like a life lesson. Big Takeaway! Get your students reading and if you have a story to tell, write it! A.C. Quintero is not the only author writing awesome FVR books for World Language classrooms. Go explore all the authors out there and give your students something to be excited about in class!